React is Nike’s biggest innovation since Flyknit. And what exactly is React? The running shoe has a unique cushioning sole that makes it softer, springier, and lighter than any running shoe before it. Nike tested over 400 formulas for foam until they landed on the perfect combination. 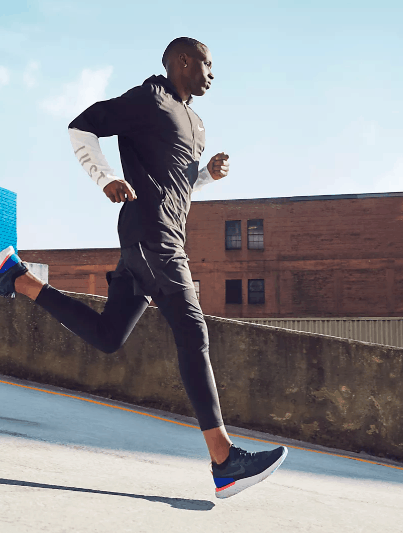 React foam technology has created a sole that cushions an athlete’s strides while providing high energy return with each step, giving them a feeling of stability and comfort during runs of any length. The design of the shoe is streamlined and beautiful, with pops of color and a Flyknit upper that allows wearers to take it from the track to the street. Shop Nike.com for the new Nike Men’s Epic React Flyknit Running Shoe.